• Back in the day when I was heavy into muzzleloaders and such, I did some shopping through a catalog outfit known as James Townsend & Son. Based out of Indiana, they were an important resource for authentically styled 18th and early 19th century clothing and accouterments for the discerning reenactor. Captain Paul McNamee scouted up a recent piece entitled “Who Were The Long Hunters.” A fine way to invest 10 minutes of your time. 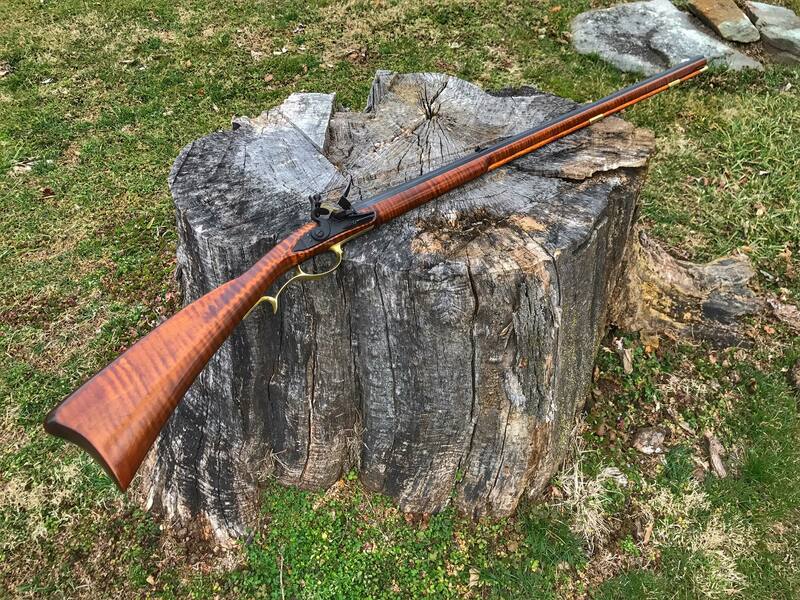 Speaking of longhunters, Cabin Creek Muzzleloading posted pix of a rifle they built after an original from the Blue Mountain region of Pennsylvania. It’s an absolute beauty. Love the simple, graceful lines of a classy working man’s rifle. • My cowboy soap opera is coming back this summer. No bull. • The movie is for real. • Fur trapping is dead in California. The L.A. Times has a story on the final demise of the fur trade, which existed long before gold was found at Sutter’s Mill. • Strike Back Season 06, Episode 09 turned in one of the finest gunfight sequences I’ve ever seen. Marilyn and I were slightly awestruck. Four-plus minutes of no-cuts tracking shot, steady cam — holy double-tap! Tense, chaotic… well done. The accompanying artwork is stunning. There last two albums (Heroes and The Last Stand) had really good art, but this album it goes to a whole new level. Cool fight scene, but I wish movie people would stop making hand grenades go off like 20 lbs of TNT spiked with napalm. A friend of mine who teaches history to high school students uses Townsend’s videos in his early American history segments, the kids really enjoy them. Still have a couple of puffy sleeved long shirts and a pair of drop front trousers from Townsends I wore back in the 90’s when the wife and I were heavy into rendezvous.